But I don’t want to do it…so I go to Pinterest to see what I want to cook this coming week so I can make a grocery list. You see, I used to be on Pinterest WAY TOO OFTEN. So now I have tons of stuff pinned! But in the past 6 months or so, I haven’t really pinned much, I mostly just go there to make, do, and use all of the pins I have already! It’s so great. 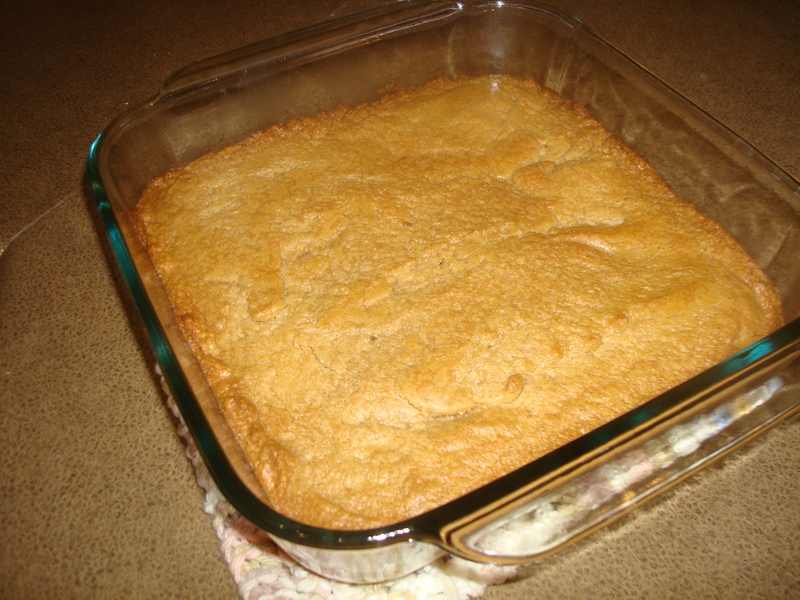 So, I ended up on my dessert board somehow, and wanted to bake something all of a sudden. 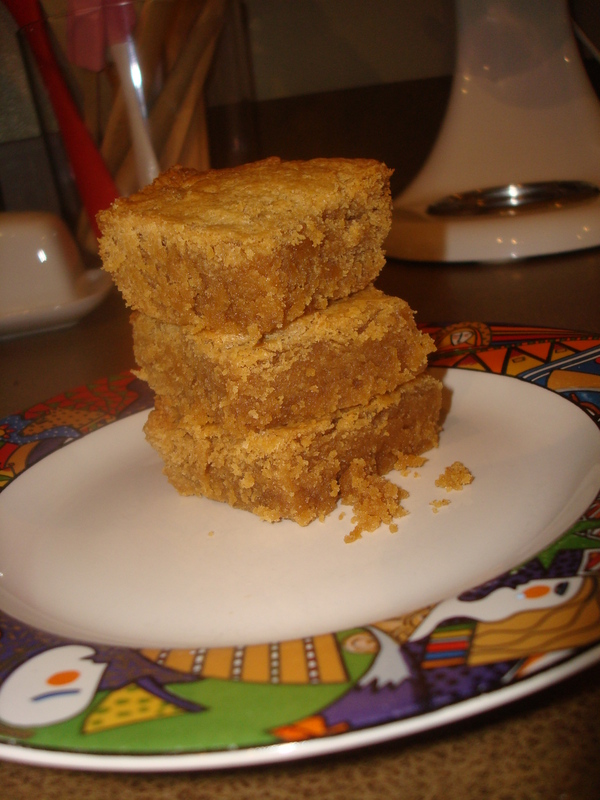 I needed to find something I already had all the ingredients for – and there it was! 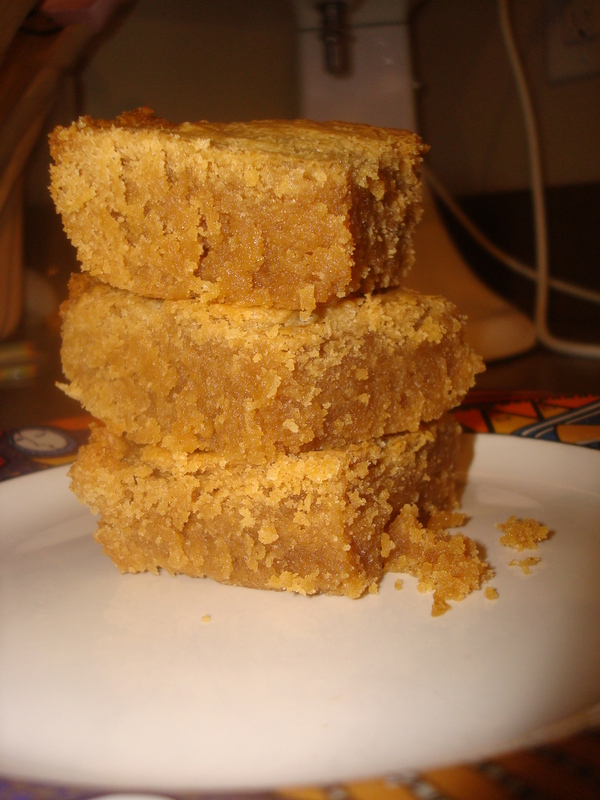 Peanut Butter Blondies! They turned out SO GOOD and they were delightfully easy to make, so I wanted to share with y’all! Even the edges are delicious, which is totally key. They are soft in the middle – so perfect! 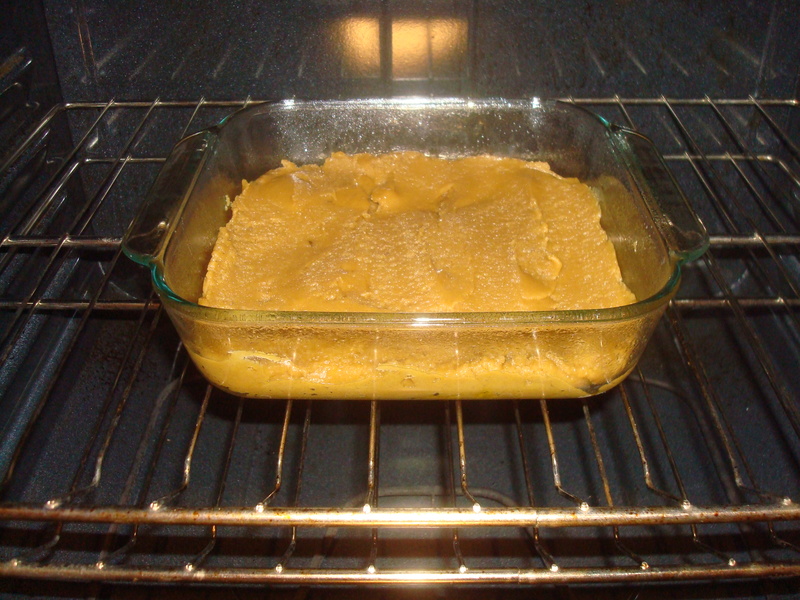 In a large bowl (I used my Kitchen Aid with my scraper bowl attachment), combine the melted butter and light brown sugar. Mix thoroughly. 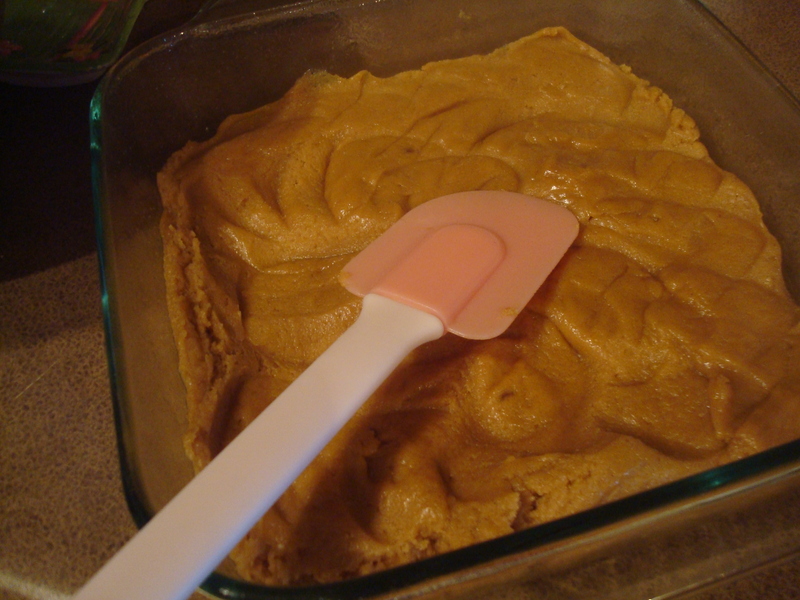 Spread the batter in the baking dish and spread out evenly with a plastic spatula. 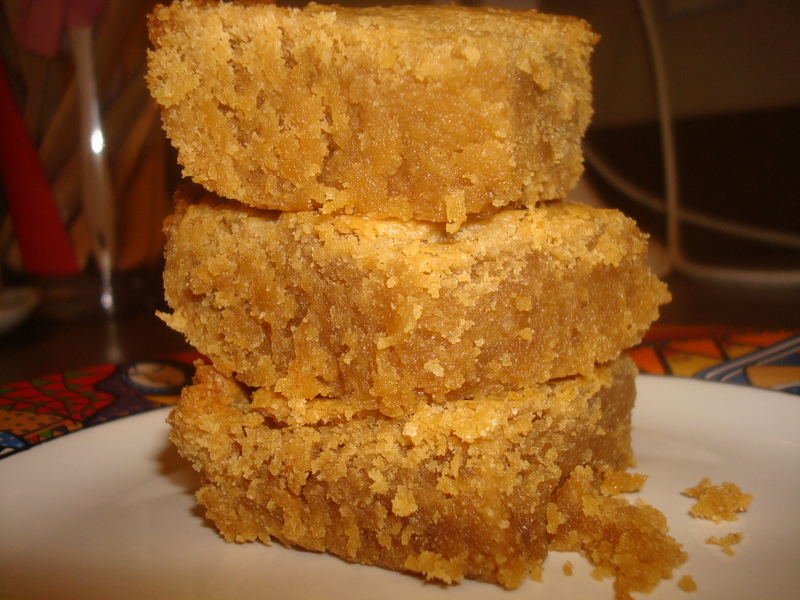 Bake for 20-25 minutes or until a tooth pick inserted in the middle comes out clean. I set my timer for 20 minutes, but it wasn’t quite done. So I set the timer for 5 more minutes…but I was busy when the timer went off, so it was more like 27 minutes. Let it cool A LOT before you cut it. It can be a little bit warm, but don’t do it when it’s still so hot or else they will fall apart. This can maybe show you how thick the batter is….when you put it in, it’s in a big pile and you just have to spread it around. Because as soon as it comes out, it has the same pattern as when you put it in! Well, I can see it. Pretty cool. 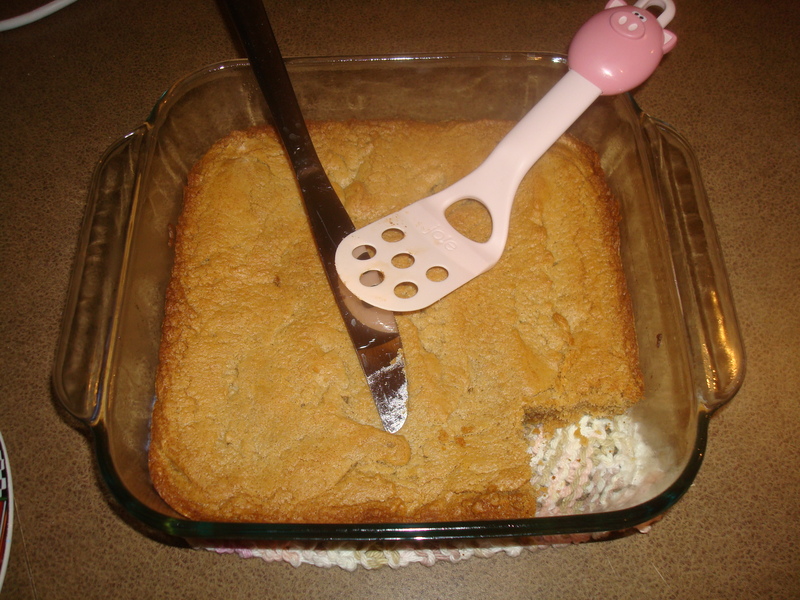 My first taste was delicious….I love my little pig spatula!